Address: 7330 S westmoreland rd suite 140 Dallas Texas 75237, USA Phone: 866-306-3688 Website: <a rel="nofollow" target="_blank" href="http://www.relocationsolution.com/">http://www.relocationsolution.com/</a> As a Relocation Solution company, we act as your door-to-door advocate. We connect you with our network of experienced moving professionals who meet our strict requirements for expertise, reliability, and integrity. We are based in Dallas Texas and specialize in long-distance residential moves and commercial relocations throughout the continental United States. U.S.DOT US DOT: 2795533 MC: 925211 *Disclaimer: The relocation Solution, LLC, is a federally licensed moving broker. The Relocation solution, LLC, is not a motor carrier, does not own moving trucks and will not act as a carrier in any way during your move. The Relocation Solution, LLC, will provide you with a quote based on your moving needs and locate a carrier in its network to assist you in your relocation needs. The Relocation Solution LLC, will monitor your move from pick up until your items are placed into your new home at destination. The Relocation Solution LLC, will also assist with any issues relating to claims or services that may arise during your move. The Relocation Solution, LLC, Is a consumer advocate and as such believes in providing the best customer experience. Please submit your online request to The Relocation Solution LLC will go the extra mile for you. We are the only authorized Sport Court® game court and tennis court builders of Texas. Since 1978, we have been building quality backyard basketball courts, multi-sport courts, and indoor home gyms. 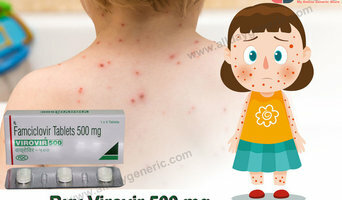 Buy Virovir 500 mg (Famciclovir) is also used in HIV-infected and immune compromised adults for treatment of recurrent episodes of orolabial (infection of the mouth area caused by the herpes simplex virus) or genital herpes. 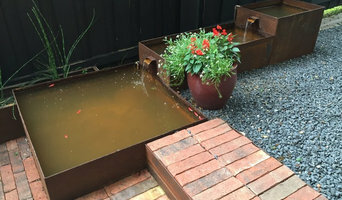 Creative solutions to enhance your backyard using metal and other long lasting materials. We have earned an excellent reputation for our commercial plumbing services throughout the Dallas / Ft. Worth area. Our licensed personnel can perform turnkey medical gas delivery system installation. Replacement and installation of all sizes and types of backflow prevention. Give us a call and let us bid on your next project. The Frisco Dentist in Plano Texas. Give us a call today and visit Dr. Jean Sanders to get your teeth on! For a passionate sports fan, having a personal basketball court or tennis court is the ultimate dream. With your own backyard court, you can host pick-up games and tournaments or just shoot hoops with your family. 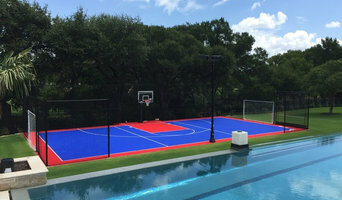 If you have the space and budget, consider installing a custom court in your Dallas, TX home with the help of a Dallas backyard court builder. Backyard court builders also keep tabs on the latest in athletics technology to provide you with the most updated options possible for your Dallas, TX court. With your input, they’ll design a space that’s customized for your wish list and your home, then handle the construction. When the inevitable wear and tear starts to show, your Texas backyard court builder can repair, resurface or replace the aging elements. To ensure consistent quality and style, your backyard court contractor might also work closely with a Dallas, TX general contractor, remodeling contractor or landscape professional. Here are some related professionals and vendors to complement the work of backyard courts: Outdoor Play Systems, Landscape Contractors, General Contractors. Narrow your search in the Professionals section of the website to Dallas, TX backyard courts. You can also look through photos to find examples of Dallas, TX courts that you like, then contact the contractor who worked on them.